How can I make my home entertainment center more energy efficient? What should I know about LED lights? I'd like to know about power management. How can I reduce hot water use in my home? How can I make sure I'm buying a better built home? How can I find an ENERGY STAR apartment or condo? partners who met the challenge. you can take to make a big difference. With help from ENERGY STAR, by 2013, Americans had cumulatively prevented more than 2.1 billion metric tons of GHG emissions. A comprehensive review of ENERGY STAR and other EPA climate protection partnerships. 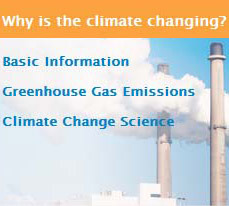 Basic information on climate change, greenhouse gas emissions, and climate change science. Assess the energy efficiency of your home and see how it measures up. Rev up your savings with EPA's upgraded energy measurement and tracking tool! See who's helping us save energy and find an ENERGY STAR event in your area. Learn how to set your thermostat for savings. Tips and tools to reduce energy consumed by IT equipment in your organization. Track and assess energy and water consumption across your entire portfolio of buildings. Take a room-by-room tour and learn what you can do to save in your own home.